The UTAH-400/DATA Router is a 64-port RS-422 router designed to switch machine control Data in conjunction with with the audio/video signal routing layers of a UTAH-400 Digital Routing SwitcherSystem. Each 3RU frame carries a single switch card that serves 64 data ports. A high-speed data bus arrangement is provided to connect up to four frames together to form larger routers with up to 256 ports. 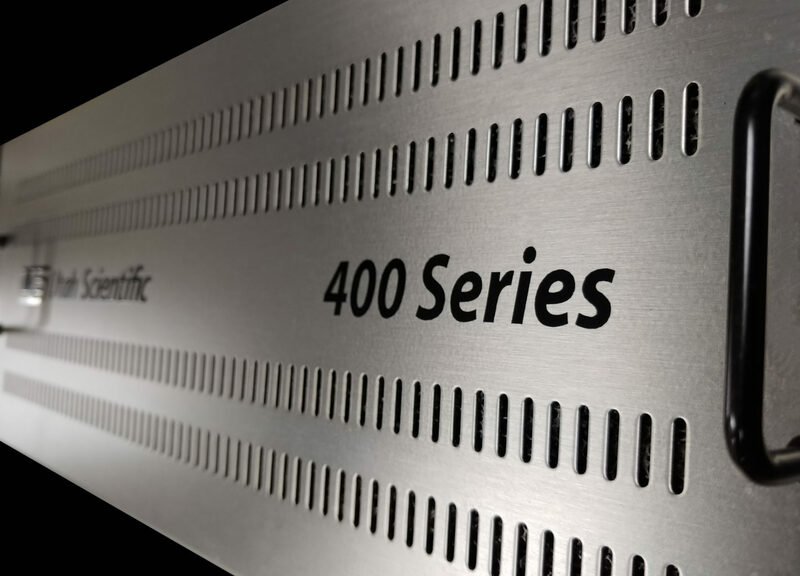 As with all other routers in the UTAH 400 family, dual power supplies are provided as standard equipment. 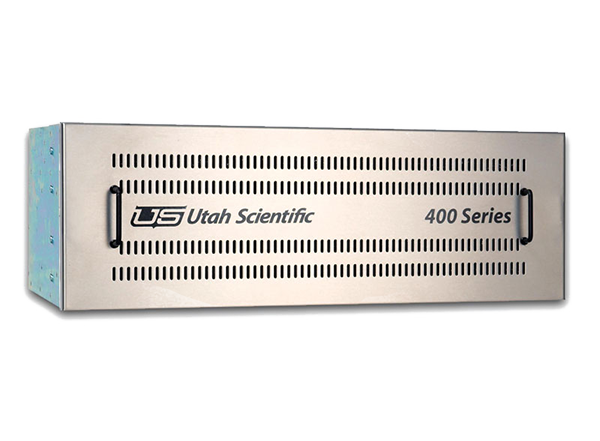 The UTAH-400/DATA router is controlled by the same MX-bus control system as all other UTAH 400 family devices.